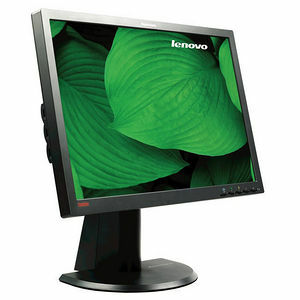 The ThinkVision L2440p Wide is Lenovo's thoughtfully engineered, 24" widescreen LCD monitor that is energy efficient and environmentally responsible. The slim design combined with light booster technology reduces mercury content by 33% and enables it to operate at 50% less power than its conventional counterparts without sacrificing performance. It is the preferred choice for ThinkStation users running professional applications such as CAD/CAM.